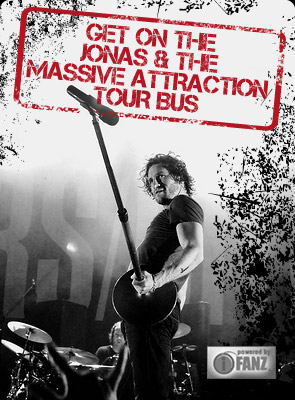 Jonas & The Massive Attraction will appear as special guests and perform LIVE on the Pénélope McQuade Show on Radio-Canada television on Tuesday, July 30, 2013 at 9:00 Pm (EST). Check your local listings for more details. The band will perform their hit single “Respire” from their BRAND NEW album LIVE OUT LOUD and raise awareness about the upcoming star studded “Avenir Lac Mégantic” benefit at the Bell Centre in Montreal on August 13, where the band will also perform to help support victims of the Lac Mégantic tragedy. LIVE OUT LOUD is IN STORES NOW across Canada and available for downloaded at BUY NOW on iTunes.